Catholic discussion of Vatican II is about more than a Council. It is also about the legitimacy of different ways of being Catholic. The question most recently debated — whether the Council represented a change in Catholic teaching and life from what had gone before — invites a judgment on change subsequent to the Council. The question about teaching is complex. But Vatican II certainly did mark a break with the past in one significant respect: namely, in the way in which the documents it generated addressed their audience. In contrast to previous Councils which were generally called in times of crises to offer authoritative resolution of disputes about faith, Vatican II did not set out to define faith through clear statements of unacceptable positions or to legislate in the face of abuses. Its address was less magisterial than pastoral in the sense that the account it gave of faith and its tone was encouraging. It was designed to attract the Catholic audience and to model ways of reflecting on faith and living it. Changes in forms of address are not insignificant. They shape subsequent reflection about faith by encouraging distinctive emphases and metaphors and imagining the relationships between speakers and hearers in distinctive ways. The generally pastoral and conversational rhetoric of Vatican II encouraged participants to reflect on their inherited tradition, and to listen to and take one another seriously. It was designed not to end discussion but to begin and to deepen it. But it presupposed that both parties were knowledgeable and grounded in faith. Vatican II primarily addressed Catholics. But its change of address inevitably also affected relationships with the broader society. The Vatican Council itself modelled this conversation in its document, Gaudium et Spes (The Church in the Modern World). This broke new ground. And it became the focus of controversy about the Council. The then Fr Jozef Ratzinger shared his reservations about the document very early. He criticised it for seeking an imagined common ground for conversation instead of speaking boldly out of Christian faith. He believed this approach unlikely to persuade non-Christians. He also found its presentation of current social issues to be superficial and ungrounded, reaching into areas where the Church had no competence. His own understanding of how conversation with the secular world should be conducted can be seen in his Encyclicals which work out of deep theological reflection to comment on such issues as the economic order and the role of government. Benedict's form of address is consistent with that of Vatican II, but not uniquely so. He is right to insist that Catholic conversation about faith won't go far unless it is based in commitment and familiarity with the tradition. In conversation we must reach out from whom we are and what we know, and not simply accept our conversation partners' perspective. He is also right to criticise the identification of the spirit or philosophy of Vatican II with the unqualified endorsement of principles of non-discrimination, of individual choice, or of a consequentialist ethic. But these qualifications do not rule out the address adumbrated in Gaudium et Spes where Catholics engage with others on public issues and seek a shared language. This presupposes in Catholics a deep understanding of their tradition and a commitment to follow Jesus. Like other participants in the conversation they will commend their proposals less by argument than by the match between what they advocate and the generosity of their lives. Conversation of this kind also implies that its participants will be open to learn from others and will be led to question their own presuppositions. Participants in the debates about Vatican II can be grouped according to their attitudes to the forms of address it employed. There are those who distrust the pastoral and open address of Vatican II even within the Church, regarding it as corrosive of Catholic truth and authority. Others regard it as legitimate within the Church provided that it is anchored to a firm commitment to the Church and acceptance of authoritative teaching. This seems to be Pope Benedict's position. Others, including myself, wish to adapt this address for the broader society, again on the basis of a commitment to Christ within the church. And finally some believe Catholic conversation within and outside the Catholic Church should not be constrained by commitments to church life and discipline. If four football teams ran out on to the field on Grand Final day, one might expect confusion until the rules of engagement were clarified. We should not be surprised by the debate about the legacy of Vatican II. Four football teams indeed, but remember, it's the same game they are engaged in with agreed rules, common practices and a history of the game. There is also a system of umpiring with a judiciary with more absolute power than the Vatican. And, not one spectator would stay because the game had been taken from them, only to be given to those ideologues vying to represent the perfect game in the team they had fielded. Good analogy Fr Andrew, I think it speaks a lot about any of us Catholics in Church leadership. Whatever the address, the basis of any legitimate address must certainly be a 'commitment to Christ within the church'. Personally, i depart from "a firm commitment to the church and acceptance of authoritative teaching" when the Church's teaching departs from the values and principles taught by Christ. Too often, we are expected to accept Church teaching without the exercise of our own judgement based on an informed conscience. What has happened to the Church's respect for the sensus fidelium, not to mention transparency and accountability in decision making, supported by subsidiarity, collegiality and collaboration? Vatican II, an ecumenical council representing the most powerful teaching authority of the Church, was clear in its guidance on these matters which should not depend for their efficacy on forms of address. If only the world had listened to Christ - through the Popes - and to what true Christianity encompasses. By listening to and living Christ's teachings of "love one another", we could in an instant, eliminate envy, hatred, conflict, war, and so many repugnant sinful outrages of man's inhumanity to man. If only the world had listened to the Church's drive against "moral indifference" which permeated the cultures of their day - during the rise of the Hitlers, the Stalins, etc. - these cultures inevitably sadly resulting in "cultures of death". If only the world would listen TODAY, when mankind is again mindlessly discarding morality in favour of "the easy way" instead of "the moral way" - which is rapidly also becoming a "culture of death". Mankind are again becoming like lemmings - mindlessly rushing headlong over the cliff. Thank you Andrew for this succinct presentation of four categories of response to the mode of address used in Vatican II documents. You chose not to discuss specific teachings in this article. However I suggest that the most refreshing breeze generated by Vatican II - the way Vatican II addressed its audience - was a lesson for all who wanted to hear it. In that mode of address - speaking to an educated, capable, adult community, a community aware that their Church was not the only valid religious body in the world - a refreshingly new teaching was delivered. That teaching by example was that the official administrative organisation of the Catholic Church recognised the maturity, intelligence and generally well-intentioned attitude of the laity. It it therefore difficult to accept the return to the relationships of the Pius XII era; difficult to return to being treated like children, required just to believe and obey; off-putting to hear again that the modern world is inherently in opposition to the Church and that we are all prey to 'the world, the flesh and the devil'. The debate about the legacy of Vatican II has re-surfaced only because of the concerted effort by some in the Vatican to suppress that legacy. But if we continue the football analogy, the winners will be put last, and the humble be exalted. What we promote as "agreed rules" are different in the Kingdom. Meanwhile of course Jesus was never ever in any sense either a Christian, and certainly not a "Catholic". Which is also to say that none of the "Catholic" Magisterium existed while jesus was alive. Who then invented it? Certainly not "Jesus"! 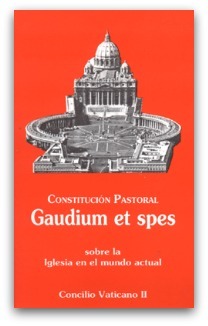 Magisterium simply means "teaching" - but some people use it as some fundamentalist rule book to slap people over the back of the head with and exclude them - either from the club or God's favour. Instead of reminding themselves that Magisiterium is a product of the Holy Spirit, or Sophia-wisdom (a woman) which always has a right to change its mind. Hope I don't get accused of misogyny or sexism. Seeing the rise and rise of Opus Dei worldwide and in the seat of power I wonder how much room there will be for those with an alternative view. If I see something from Fr Hamilton I read it; so balanced, knowledgeable, intelligent and helpful for how I live my Faith. The analogy with a football team is indeed apt given that Football too is all about blokes and alpha males with female helpers and onlookers. Like the men in the forefront of the French and Russian revolutions, the leaders of the Council have endured surprising consternation that their words and rhetoric have been taken very seriously by Catholic women and applied to their lives with sincerity. What id they think was going to happen given the wonderful freedome suggested in the rhetoric? Sue! Jesus is a Catholic! In fact the Catholic Church is the Mystical Body of Christ. He is thereby a Christian, and all the Catholic Dogmas derive from Christ, in Scripture and tradition. There is an old maxim that if you become a teacher, it is by your pupils that you will be taught. As a teacher of many years experience, I know that there is considerable truth in this old maxim. But to be taught by your pupils, you need to be willing to listen and to learn from them. Shouldn't the teaching magisterium of the Catholic Church be listening more to the people of the Church - the greater part of the 'Body of Christ'? I see a big difference between what the official Church teaches on many issues and what I hear the people of my Parish say they believe on these same issues. Personally, I think the Church would benefit immensely from a Third Vatican Council, well represented by all parts of the 'Body of Christ'. The world has changed immensely since Pope John called Vatican II, and the Church is in a very different modern world than in the 1960's. Mr Allen Catholic Teaching is not derived from parish pump polling booths but from scripture and tradition with magisterium under guidance of Holy Spirit. [cf Petrine commission] The 'sense of the faithful' is only authentic if it conforms with magisterium. Your 'Lay packed' Councils smacks of heresy of Conciliarism that saw councils as superior to Pope. The RCC is, in essence, not the church of '60s or '02 but of, 1st century [founded and commissioned by Christ with Peter as Rock] Councils stand or fall in adherence to papal magisterium Robber councils are not new: ROBBER COUNCIL OF EPHESUS A synod held at Ephesus in 449 to vindicate Eutyches from St. Flavian's condemnation. After disgraceful scenes of violence, Eutyches was vindicated. Flavian and Theodoret then appealed to Rome. Excommunication followed for certain participants and the Pope declared all the council's actions null. Fr John George, thanks for your reply. I'm interested in your point of view. I've just been reading an open letter from 'Catholics for Renewal' to Pope Benedict XVI and the Bishops of Australia. Do you think there is any truth in their letter, from which I quote the following, "The Church no longer adequately inspires many of our communities. It has alienated too many adults who were born of Catholic parents, attended Catholic schools, and lived a sacramental life. It has become disconnected from, and irrelevant to the lives of too many of our children. With fewer priests, its ability to provide regular Eucharist in our parishes, especially in rural areas, has become increasingly limited. As an institution it does not yet embody the vision of Vatican II for a truly collegial Church in which decisions respect local cultures, communities and circumstances. Rather, it appears as an institution focussed on centralism, legalism and control, with few effective structures for listening and dialogue, and often more concerned with its institutional image and interests than the spirit of Christ." I really think another Vatican Council would assist listening and dialogue among the various parts of the 'Body of Christ'. The assumption that another council would assist listening needs nuance. While I brought up in the seminary on VATICAN 2 documents and happily adhere to all unreservedly, nonetheless the postconciliar decades are characterised by non listening dissent against Magisterium and outright schism. I suspect another General Council would be followed by much the same. Personally I regard regular Symods as a better mechanism and the New Evangelisation . [Possibly Synods would have been more fruitful than a 'General Council of Vatican 2'-the former characterised the early Church history. Wholesale dissent from magisterium is no postconciliar innovation It was concerning a council (359) that St. Jerome wrote, "the whole world groaned and marvelled to find itself Arian". The groaning and alienation was not a criterion of truth then or now.